Kindle VS Traditional Book… What Do You Think? “… I have a question for you, and perhaps your readers should you be kind enough to post it: Do you read cozies on a Kindle? Are cozy readers using Kindles? Cons: easier to destroy if dropped, water spilled on it, sat on- all things that happen to books can happen to these, expensive to repair/replace, what to do with the books-anyone help out with this one, I’ve not got a clue! ?, saves trees but causes more pollution from how to dispose of them (plastic, dead or overworn batteries,etc and paper will degrade), huge selection of books that are free elsewhere, modern tech. moves too fast for the pocketbook to keep up with new designs and the next one almost always does better and there are those out there that will ditch the current and spend for the newest making them expensive despite cheaper books, can’t drop them, can’t afford to replace them if you leave them and come back to find someone took it, how much to fix if there is a “glitch” say it won’t go to next page-if you can’t read a page of your paper book-say it’s missing-go to the store read that page then finish your copy. Do you REALLY want to lend it to a friend to read?! Personally, I still use the “old” method when reading my books. I am sort of moving more and more toward getting a Kindle, but right now, I am staying with my “real” books. My husband, however, just about gave up reading for pleasure. He does so much reading at work, and his eyes aren’t what they once were. He enjoys his Kindle because he can adjust the font. (OK, so my eyes are what they once were, either. And, I have to admit that I have dropped reading my Miss Seeton books because I simply could not continue reading such small font… even with my reading glasses on!) Also, he likes being able to purchase his book on Amazon and have it absolutely the next minute. I am pretty sure that his Kindle’s battery is a re-usable, re-chargeable type of battery, so he isn’t contributing a lot of batteries to the land fill. What do you all think about the Kindle VS “real book” question? I have a kindle and a nook and I prefer the kindle as it is lightweight and I can carry all my books with me. The pricing varies, but if it’s an author that I already read, I’ll pay the price, but for new-to-me authors, a lesser price will get me to buy your book. I still read printed books, but not as much as I used to. I like the notion of the increased font size of my e-reader. My twin sister gave me a Kindle for Christmas and truthfully I still prefer my ‘bound books’. I’ve downloaded classics i.e. Pride & Prejudice, etc. and know it’s helping the environment and some are less expensive but as for my ‘cozy mysteries’, I’ll take my paperback/hardback ones. I don’t know exactly how to phrase the reasons but I enjoy holding my books and collecting them. Well…I have a B&N Nook and not a Kindle. I do love reading on my Nook, however due to the crappy economy I am now working 3 days a week instead of 5 at my job, so the costs of e-books can be pretty expensive, especially if you are reading a big cozy mystery series and have ton of books to read. What I have been doing is going to my local library and reading the regular DTB’s instead of purchasing them on my Nook. If my library is missing some in the series, I usually tend to buy them for my Nook if they are available (and not all of them are because they are older) to fill in the gaps. Must say I love reading both the regular paper books and on my Nook. I actually have no preference. I prefer reading “real books”. I’m not opposed to Kindles or Nooks. I think they make sense for people who travel a great deal or who need to make font sizes larger due to vision problems. But, for me, part of the joy of reading is the tactile feel of the book itself. I will continue reading “real books” until I no longer can. Hello Cindy, Danna, and Arlene. As Danna knows I broke down and bought a Kindle but I find I prefer holding the book and turning my pages myself instead. When I am buying books I like to look at the covers and that kind of tells me if I will get the book or not and books look better on a shelf. Most of the kindle books are the same price as the real copy so why not just buy the real copy instead. I know you have to charge the Kindle too but I just prefer books. I’ve not thought about how the font can be changed in size! That is a major PLUS over books. People with vision problems have to pay dearly for a large print book. And they have to be large to equal the print. However, I keep reading that the prices are about the same. I thought otherwise. Also, even with ‘rechargeable’ batteries, pollution is pollution and this is the negative kind. I also realized that Rainforest are being destroyed by both ‘loggers’ and ‘builders’ BUT with recycle, paper is easier to reuse. As for ‘holding’ a real book, children learn from reading and interacting with their book in a 3D (with modern tech. I need to say this means ability to Feel the things they interact with) way which electronic books don’t allow. Remember, the little finger puppets with books, the learning to lace with your book, feeling the ‘fur’ on the dog, the feathers of the duck, etc. Scratching the cake in the story and smelling it? I could go on. Anyway, my list of pros and cons still grow. Lots of thoughts! Ok this is a question I have thought about quite a bit. I am a stubborn traditionalist and have not yet succumbed to the e-readers. I just like the feel of a book, the look of a book and the satisfaction I get in watching my progress through a book. Here are a few cons as I see them: 1) while I know that there are quite a few freebies on the e-readers I have not seen many of my favorite authors on those lists. Most books I am interested in cost the same 7.99 that paperbacks cost and with the ease of ordering a book coupled with my book addiction my family may not eat for a while! 2) I obtain alot of my books through swapping sites like pbswap.com. This saves me a lot of money. Can’t do that with an e-reader. 3) I worry about what the e-readers mean for bookstores. They have enough trouble staying open because of online sellers, does the e-reader craze mean the beginning of the end for my local sanctuary, err bookstore? 4) I can’t peek ahead as easily on an e-reader!! So for now I will remain stubbornly old fashioned. Remember, I just recently accepted audio books as substitutes for books, lol. I’m with you there. But, paper trash and burning it are not as hard on the environment as plastic trash, battery trash-the serious chemicals in them. I made a few comments to Alfreds’ comment above on this if you want to read them. PS How does one go about ‘sharing’ their e’ books or what happens to them once you’re done with them? How do you go about finding a book by an Author-outside of Danna’s FANTASTIC SITE!!! :> if you want to get one. Ooops again, there is another Kay out there. Sorry. I will try not to use Kay again. I noticed this fact as I was reading down futher. I did not see any of my replies/comments as Kay so she is not me. I received a Sony ebook reader for Mothers’ Day. I enjoyed many of its features such as font adjustment, bookmarking, highlighting, dictionary, adding notes, but in the end I returned it. The price was just too high, and I know that if I wait a year or two, as with all electronics, there will be more features at a lower cost. I then tried a simpler reader, Kobo (not touch screen) but after the Sony, it was no fun, so that went back too. As well as the free ebook sites, my public library lends ebooks online. One of the best things about using an e-book reader was that I could find the older, out-of-print authors that I want to read: Mary Roberts Rinehart and Wilkie Collins for example. As for the impact on authors, you might want to have a look at the concepts in “The Long Tail” by Chris Anderson. The news is good, not bad. Arlene, I write cozies and the Kindle/Sony/Nook books outsell the print copies by a LARGE margin. The print copies are on sale this month at both B&N and Amazon, but the ebooks are always cheaper and they sell better. My cozy series also outsells my urban fantasy (first in the series is out, whereas with the cozies, there are 3 books out so that may be why.) The urban fantasy is gaining sales month over month however so I think there are also plenty of UF readers with ereaders!. So yes, there are cozy readers out there with e-readers and they do buy and read cozies! My “mystery” that is not particularly cozy sells more in ebook than in print as well, but again, that could be price. As for me? I continue to read both. Sometimes it’s price-dependent. If I can get the Kindle book cheaper, I do. If I come across a lovely used copy while I’m browsing, I don’t hesitate to buy it!!! I agree with Karen. There is a sensory thing about holding a book, turning a page, even seeing books lined up on your bookshelf. 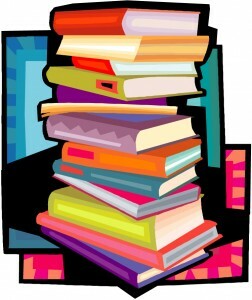 I can find bargains on books and resell them at the used book store, so the cost is minimal and they get read by others. Trees are renewable and batteries will eventually fail and end up in the landfill. Is there anything more wonderful than browsing in a bookstore (or library) and finding a book you never heard of that turns out to be a great read? Interesting question and answers (so far). I’m in the long process changing from real books to kindle. As I’m living in Germany and love American cozys getting them for the kindle is often cheaper. I also have to go away to courses several times this year and it’s easier to carry around a kindle than actual books. But… I find that I hardly ever use it. Mostly I don’t dare to take it out, especially in the afternoon when there are somewhat strange fellow passengers. Drug-related crime is a real problem here and I don’t want to have my kindle stolen. They are not interested in paperbacks… Which I can’t read easily, my eyes not being what they were either. At home? Well, I still have so many books I haven’t got round to that I usually grab a book instead of the kindle. So, I only might use it when away on courses if I’m not too tired. I love that I can choose just about every book I feel I want to read right now and not be restricted to the paperbacks I’ve taken along. I’ve never had problems with the battery yet. It holds for quite a long time (around two weeks depending on how much I read) and I bought a charger that just plugs into the wall socket. So, no PC or notebook needed. @Cindy: In case the kindle gets stolen or breaks the books are still there. Amazon has a personal online library from which the books can be downloaded again at any time, even across devices (like iPad, kindle for Windows). I’ve tried and it works well. If you put personal documents on it you’ll have to keep your own backup on your computer. Ladies, this is really so helpful. Thank you for taking the time to ponder the question! As a reader I’m in the middle with e-readers and traditional books. For the authors who are Keepers, I buy the book, but if I’m trying something new, or the author isn’t necessarily on my keeper list, I’ll download on my Kindle. As a writer, I just wanted to test the waters with other readers. Also, wanted to share this link for a Rhys Bowen book, The Amersham Rubies. It’s a prequel to the Molly Murphy series and it’s offered on Kindle for free (probably free at B&N as well). Enjoy! I prefer holding the book in my hands. Everything these days is so techno geared, that it is nice to just do a simple thing of reading a real book. I am happy to say that my husband and I DO NOT own a cell phone! There is nothing that is so important to me that I have to be on the phone all day. Makes you wonder how people ever lived without them, they are so much of a person’s life anymore. Sad. I have had a IPad & Kindle for about a year now. I love the Ebooks & do not miss real books. The fonts, spacing & bolder print makes reading easier (& I don’t have eye sight problems) & more enjoyable. Kindle is the better reader but that is the only thing that I use the kindle for. I do not read real books any more so if an author does not publish an ebooks I no longer read them. I buy ebooks & all my books are condensed into one device not hundreds of books cluttering my house. I use the library to borrow Ebooks also. The kindle is the size of a book and is lighter, feels like a book & easier to carry around. I am 100% Ebooks and love it. It’s not for everyone. But all authors should jump on board as it is the future. I have two Kindles – my 2nd generation one that contains all the cookbooks I have downloaded as well as a bunch of non-fiction, science and misc. books. The newer 3rd generation Kindle contains mostly mysteries with a generous helping of fantasy novels, a few sci-fi and all of Alexander McCall Smith’s books. I still buy some hardback books for my collection of certain authors, signed 1st. And I also buy some paperback mysteries when they are offered on Amazon’s 4 for 3 promotions which then makes them more affordable. I am rather annoyed when a physical book costs less than the Kindle version. It just doesn’t make sense to me. I love the old classics that are available for Kindle for free or for 99¢ and have downloaded many. I have been collecting books for decades and storage got to be a problem so the Kindle has been an ideal solution. It was either that or build yet another addition onto my house. My cookbook collection alone numbers over 2K! I also recently exchanged my 1st generation Kindle for a new 3rd generation one that I sent to my grandson. They are offering this deal for $60.00 and the old one has to be returned – they provide a shipping label. As this is a savings of $129.00, I jumped at it. I had phoned Kindle support to find out the best way to recycle my old, non-working unit and was told about this. And now that they have Kindle apps for the iPad, iPhone and Macs, I use that too. They are also available for PCs but I have been a Mac nut since the very beginning. It’s also helpful that the newer Kindles offer Text-to-Speech with the Read-To-Me function. For people with limited vision, this is wonderful. I LOVE books!!! Real books are my favorite. Sitting in a bookstore (although they are becoming extinct) is a favorite pastime. Trips to the library are still on my weekly plan. However, I do have a Kindle (new owner). I think for some books I would actually want a copy in both versions. For some of my favorite books, I’ve bought another copy in the ebook version. Since I’ve moved a few times and I counted the last time 4 giant tubs and 10 boxes of books that had to be moved so………. if it’s not a favorite book, an ebook is fine with me. But for those I’d like to read over, pass around, and leave for others I have a real book. Also I’m working on another Grad degree that requires alot of reading and the Kindle comes in handy for that sort of reading with distance learning. So there is a place for a Kindle and even if some of us don’t like it, it is the wave of the future. I did however learn the downside of purchasing a series on a Kindle. I did so and got halfway thru the series to want to discontinue reading. BUT I already own it so……. I think I’ll slow down on the epurchase. Could have returned a real book to the store or library. Not so much with a Kindle book. Love reading on my ipad using the kindle app. Have been for over a year now. All 378 books in my hands, ready to read in an instant. I have a kindle, but prefer the ipad. Love reading Cozy Mysteries! With all the free books Amazon offers and buying all my cozy series books, I am only averaging $2.78 each. if I don’t have access to a computer.I still enjoy reading proper books but as I add my favourite authors collections to my Kindle I am giving the hard copies to charity shops. publisher they deal direct with Amazon.I suspect that it is not authors per se who are so anxious about the Kindle but the publishers who make the most money from books. Real books all the way. Ah, yes I had forgotten to list the travel reason for a kindle! When I visit my parents in NM the nearest bookstore is 3 hours away…the plane trip, the driving–Kindle is handy to have around!!! I like the feel of a real book in my hand. The smell of the paper, turning the pages, etc. I let the local library warehouse all the books I want to read but don’t need to own. I also appreciate books that have been handed down to me from past generations. Knowing that people from 40 or 50 years ago held these books in their hands and read them means a lot to me. One won’t be able to do that with the electronic books. I prefer cozying up to a cozy rather than an e-reader. I have a Nook/Color with about 130 books on it ……but I still prefer a real book in my hand. For me the only advantaage is getting the book right away. Borders was our nearest bookstore so I’ll be ordering all my books on line from now on. I’m a traditionalist, I love real books … the feel, the smell, turning pages, having them on my bookshelf, etc. I spend all day staring at computer screens, I don’t want to spend my leisure time reading books on a screen. I can understand that a Kindle would be useful if you did a lot of travelling and don’t want to weigh your luggage down with books, but apart from that I can’t find any reason why I would want to own one. I like going into bookstores and browsing. I like picking up a book and reading the description of the story on the cover and then opening up the book and reading a couple of pages before deciding whether or not I want to buy it. I’ve discovered so many authors by just browsing in bookshops, I’m not nearly so adventurous online. I tend to buy books I know I already want from Amazon, I don’t find that browsing online is as satisfying as browsing in a bookstore. Curling up on my sofa on a cold Sunday in winter with a good book and a large mug of coffee, just wouldn’t be the same holding a computer screen. I might be old fashioned … but I vote for real books with pages you can turn every time. Judy and Carrie expressed my thoughts and feelings so perfectly that there’s nothing left for me to add! Except, perhaps, one tiny story. My late aunt left me an 1800’s era copy of the novel Ben Hur. On the inside cover is a lovely inscription by a daughter who gave the book to her mother for a birthday present. I cherish the book for that reason, although I don’t know who the young lady was. Ebooks have some great qualities but the human connection, like most things techno, is still lacking. I prefer books….I am truly a page turner…..my granddaughter wanted to buy me one….but they do seem nice and the printing is large….but just don’t must care for these EBOOKS. Since I am older and just older…haha; let’s just say…………I am an old-fashioned mystery fan, & I love cozies. Only buy hard copy books or paperbook. When I walk into a bookstore, or a library, my heart begins to race, my palms get sweaty and my eyes dart all over the shop, trying to decide where to begin. I feel an anticipation that equals to Christmas morning, when I was a child. I love the feel of a book in my hand. It is substantial, solid, and a comfort when chaos and stress are swirling around me. Being a nature lover, I’m not happy to think about the trees that have lost their lives in the making of my treasure, but also take comfort in that more books are being printed on recycled paper. My family members often give books as gifts for Birthdays and other memorable events, and will inscribe a personal message, along with the date, which makes the book even more meaningful. You can’t do that with an electronic device. As far as price comparisons, in my area, the e-books are just about the same price as the printed version, sometimes, even more, so coupled with the cost of the device, I wouldn’t be saving money. The pure magic of being able to turn a page, the feel of the paper, the fragrance, and that unforgettable soft “thud” when you close your volume, speak to me in ways that are hard to describe. Call me old-fashioned. .I prefer romantic. .I love my books! Very well put, Suzie! The one thing I find very odd about e-book owners is that they like to brag about how many books they have downloaded. When do you plan to read them all? Thank you all for responding to Arlene’s and Cindy’s comments/questions! You all make a lot of good points in favor of the Kindle…. AND in favor of “real” books. For now, I’ll continue to buy my husband his Kindle books, and I’ll stay with my hold-it-in-your-hand paper copies! I’ve read and enjoyed “real” books since the time when Nancy Drew books cost $1.25. But I have quickly adapted to and fallen in love with the Kindle. I bought my Kindle two years ago when preparing to visit my daughter in Germany and had no room for a single book in my luggage. While it is great for travel, I prefer it all the time now – although I still use the library and swapping sites when ebook pricing is too high or books aren’t available. I love to interact with an ebook through the dictionary, highlight, and search features, but being able to adjust the font size is of utmost importance to me. My Kindle cover makes it feel like a “real” book to me and I take it everywhere I go. I had fun with one of the first cozies I read on the Kindle by running a search on the murderer’s name when I finished. I scanned through the first few instances where he was mentioned to see what clues I had missed. What a NEAT idea, Carole. Did you find that you had picked up on most of the clues, or were you more like I am… clueless sometimes?!? That’s a great idea. I’ve never heard anyone mention it before, but I love it. If I had a Kindle or Nook, and had to purchase books for it, I would be broke in a week! (forget groceries and gas for the car!) For me, it’s the library all the way! I love being able to reserve new books and get the email or phone call telling me my book is in. I love wandering around the library and picking up something that looks “interesting” and being able to return it the next day if it wasn’t so “interesting”. I do have Kindle for Windows, but all the books are so expensive and in the summer, money is tighter, so I use the library. Until Guttenberg, the only books available were hand made. Before that people used tablets and scrolls. It’s not the physical manifestation of the written word, it’s the written word itself. I have a huge collection of paperbacks because I belong to two book swap sites. When I read a a new book, I get it out of the library. I’m probably going to invest in a Kindle soon. Our library is only now supporting the Kindle although they do support the Nook. In the end I think it’s going to be the Kindle, not the Nook that survives. I like the idea of putting all of my cookbooks on Kindle. Great idea. Larraine, you can also join Eat My Books – a place where you can list your cookbooks to a virtual bookshelf and where there are hundreds that have already been indexed so you can search for recipe titles and even ingredients. There are no recipes on the site and there is a small membership fee but with as many cookbooks as I have, it is certainly a time saver when I want to find which recipe is in which cookbook. I used to spend hours searching for a particular recipe and now I spend minutes. I have nothing to do with the site except as a member. For those of us who collect cookbooks, it is a Godsend! You can try it for free with a limited membership to see how it works. I have quite a few of my more valuable cookbooks also on Kindle because I don’t want them soiled. I used to buy used “working” copies of these but again, the storage issue is a problem. Having the duplicate on the Kindle is ideal for me. I can certainly understand the love of physical books. I have loved them all my life and inherited many that are precious to me. However, regular “reading copies” can be in any form, including electronic. Danna, I had picked up on NO clues whatsoever! It was interesting to see clues that were obvious once I knew the outcome, though. I usually just enjoy the story without trying to discover the culprit. If I’m able to figure it out, however, it’s because I apply the Perry Mason approach of the character with no obvious motive until the end! When I got my Kindle over two years ago, I became so interested in the ebook world that I started following a few industry tech blogs. Most everything they write is purely speculation, but interesting. When you look at the way music evolved – records, tapes, CDs, digital – it’s definitely becoming a digital world. I still have only bound books. I will likely one day get a Nook, but not anytime soon. I continuously keep three books going at any given time, one on the nightstand, one in my purse and an audiobook in the car for commutes. If/when I do get an e-reader, it will be on the nightstand. I like having a book in my purse for when I get a sip’n’read at a coffee shop or read at work or waiting in line at the bank or grocery…whenever I can get hooky reading in. Vickie, now that’s an incentive! or trendy doesnt make it better. With me it isn’t either/or. I have a Kindle app on my IPOD Touch and I also own a Color NOOK. I also read print books and listen to audio books. I like to always have a book with me to read and when I am between print books, I have several e-books saved up so I am never without something. And if I am doing housework or gardening, I listen to an audio book. I guess for me it is the content not the format. I have an early version of the Sony Reader that my husband got me for Christmas 2009. It does not have internet, so to use it I have to be at my home computer, buy the book, and then plug in my cord to upload to my Reader (much like an iPod). I think this is a major downside of the Reader compared to the Nook or Kindle. Also, my Reader software doesn’t back up my collection online like the Kindle apparently does. I haven’t bought very many books because I’m afraid I will lose them all in a computer crash if I don’t constantly back up to a CD (I lost a bunch of my iTunes songs that way). So, even having the Reader for a year and a half now, I basically just use it on our yearly vacations and almost always read real books. The Reader is just hard to read as well, it glares, etc. I suspect if I had a Kindle I would use it more, but I don’t want to invest in another one of these devices at this time. This is the problem when someone buys you a tech present without any research!